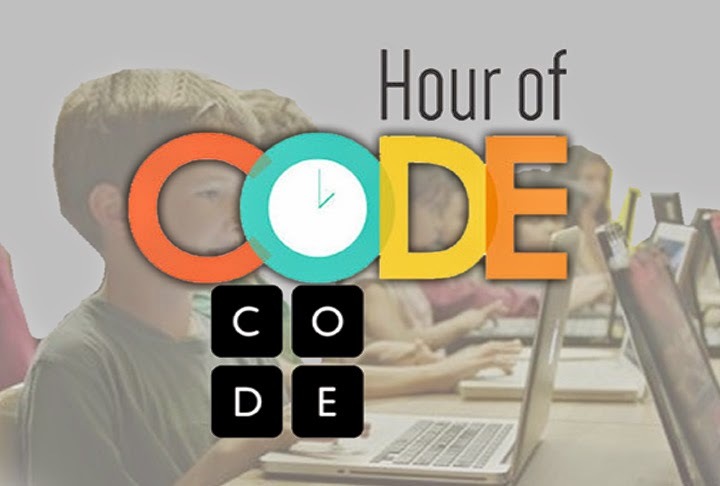 The Hour of Code is a one-hour introduction to computer science and basic coding (programming) for students in grades K and up. Designed to show that anybody can learn the basics of programming (coding), the Hour of Code is a global event that typically takes place during Computer Science Week. This year Computer Science Week takes place December 8th through the 14th but if you can't do it during that week, you can do it the week before or after. So you might be asking yourself, "Why code?" Code.org believes that "Every student should have the opportunity to learn computer science. It helps nurture problem-solving skills, logic and creativity. By starting early, students will have a foundation for success in any 21st-century career path." "The Hour of Code is organized by Code.org, a public 501c3 non-profit dedicated to expanding participation in computer science by making it available in more schools, and increasing participation by women and underrepresented students of color. Microsoft, Apple, Amazon, Boys and Girls Clubs of America and the College Board (among other partners) have come together to support the Hour of Code." A few classrooms from across our district have participated in this "Hour of Code" with great success. In fact we have a 2nd grade teacher here in Sudbury who is doing coding activities with his students throughout the school year. You do not need to know anything about coding to host an event with your students. The activities are self guided. You choose the tutorial you want and pick an hour and Code.org takes care of the rest. They have options for every age and experience-level, from kindergarten and up. Yes, I said kindergarten..